Students exhibiting model online behaviour deserve your attention too. Classroom makes it clear which students are on task and engaged, so you can reward them. Immediate feedback is the best approach to dealing with inappropriate internet use. 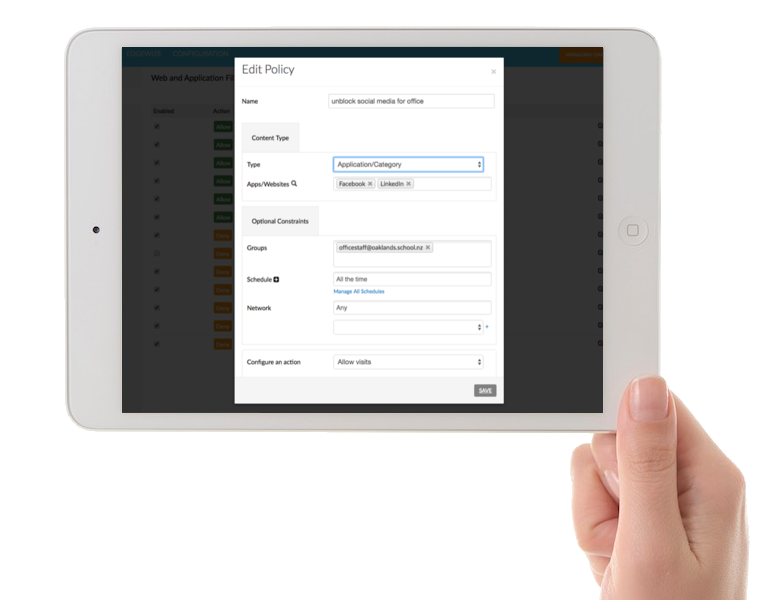 Classroom provides the information to discuss any issues with the student. Classroom provides teachers with a simple dashboard that displays the websites and applications that each student is using. Live visibility over classroom internet use allows teachers to identify which students are engaged with the lesson and those who are distracted or offline. Classroom enables teachers to discuss levels of engagement in a meaningful way with students. Teachers can reward constructive internet use and respond to inappropriate online behaviour with timely, evidence-based conversations. 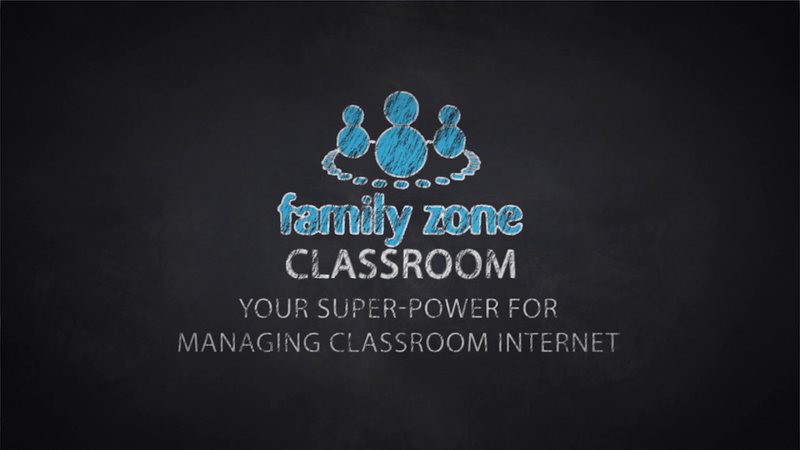 Classroom allows teachers to focus internet use (e.g. "Just IXL”) for the entire class or for specific students. Classroom internet controls allow teachers to adjust internet access to match the nature of the lesson. With Classroom teachers can also allow access to lesson related content that is normally blocked in class. Teachers can use the classrooom tools to relax access (e.g. "Allow social media, even though its usually blocked") for a social studies class. 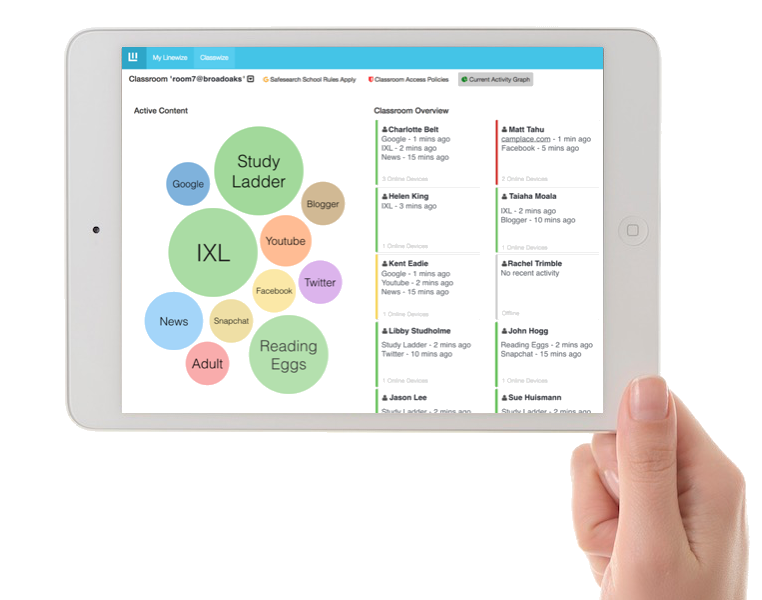 Live visibility and control over classroom internet user.